Notes: SNF is skilled nursing facility. Analysis excludes beneficiaries enrolled in Medicare Advantage plans and those in Part A or Part B only. Does not include spending on premiums. 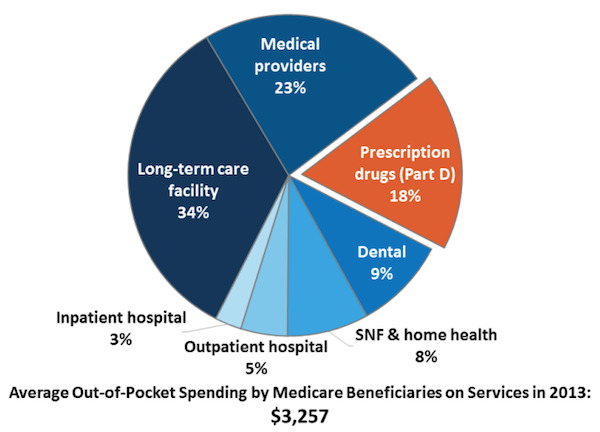 Data Source: Kaiser Family Foundation analysis of the Medicare Current Beneficiary Survey 2013 Cost & Use file. This entry was posted in Data Watch on November 22, 2017 by Genevra Pittman.